The Founders believed that trial by jury was imperative to maintaining a free society. 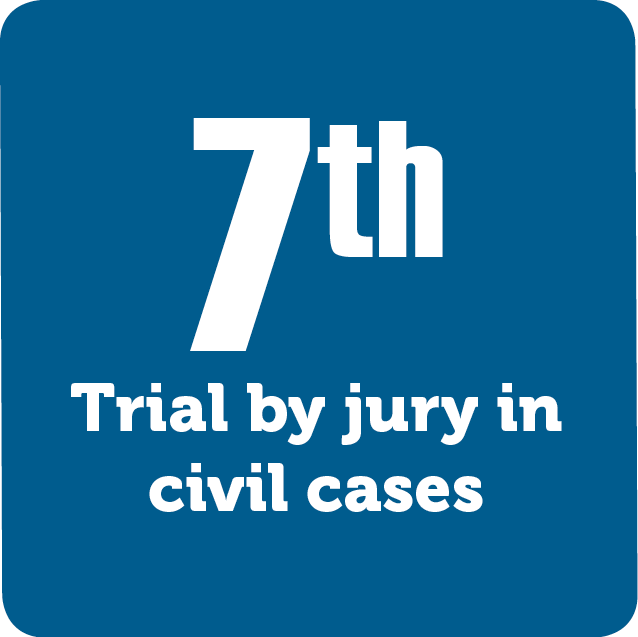 The Seventh Amendment says that certain federal, civil cases will be tried by a jury. Many states have extended this right with their own state constitutions and laws. Check out this amendment in the IQ section.